I use these to freeze my babies food when i make a big batch. They are the perfect size. The lids are good I've never had any leaks. 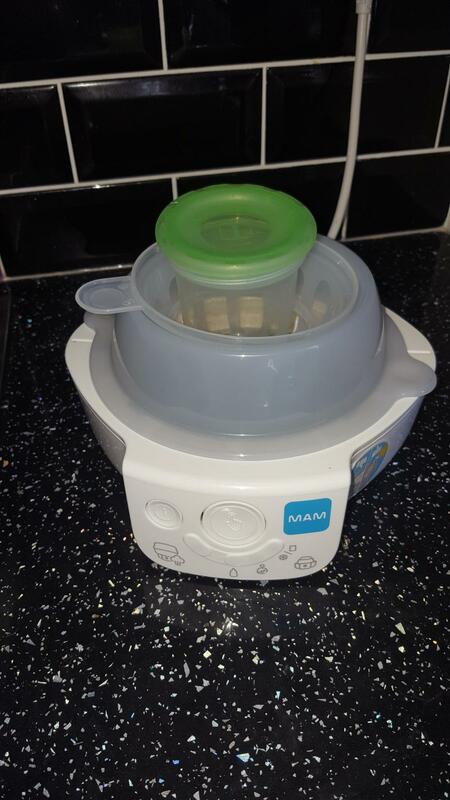 They can also be used on the mam 6 in 1 electric steriliser to defrost the food and re heat it. The price is a bit high but they are great quality. They can be used to store breast milk as well which is also good. These are really handy to have about, you can store all sorts in them and although a bit expensive you will get your money's worth out of them. These will connect to your mam manual pump so you can express directly to the container then store. I don't have a manual pump of the same brand, I use an electric one, and I find I can express more than the tubs capacity to have to tend to split my milk between 2 pots. Easy to write on and clean the label area. You can also store solid food when weaning. Freezer and microwave friendly. And they pack away small. They will stain slightly if you heat or store tomato based foods in them. Overall I really like them and find them very useful. 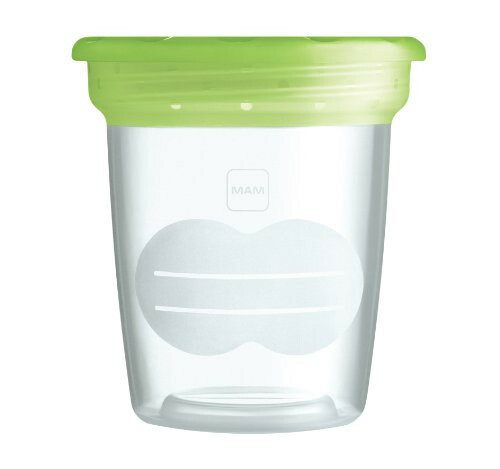 With the leak-proof MAM Storage Solution, breast milk and baby food can both be stored safely in the refrigerator or freezer. It is microwave safe and can be used with a bottle warmer. The pots can be sterilised as often as needed. The lid tightly seals the cup, preventing leaks; ideal for outings. 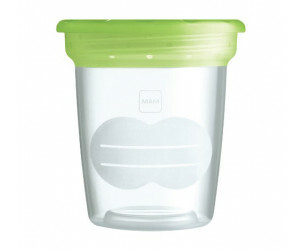 The cups can be used to store and transport baby food, for added convenience and flexibility. The full level mark helps with accurate measuring. And thanks to the washable labeling area, a new supply can always be clearly marked for easy storage.